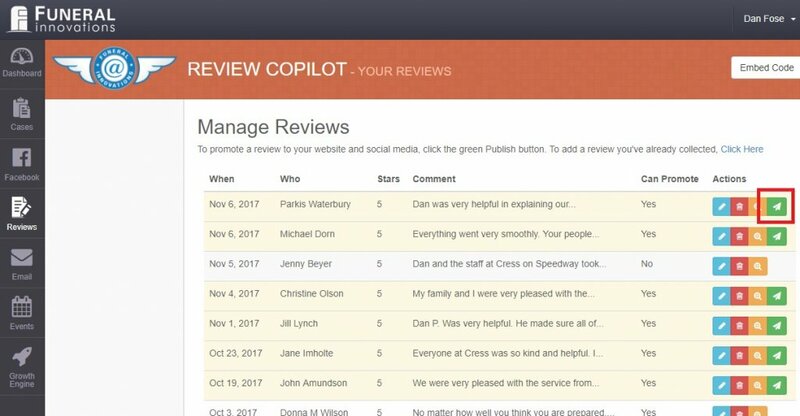 Once reviews are collected, you can easily preview the review before it is published to your website or Facebook Business Page. It’s important to know the Growth Engine will never publish a review without your approval. On the left side of the dashboard, click Reviews. All collected reviews will be displayed. 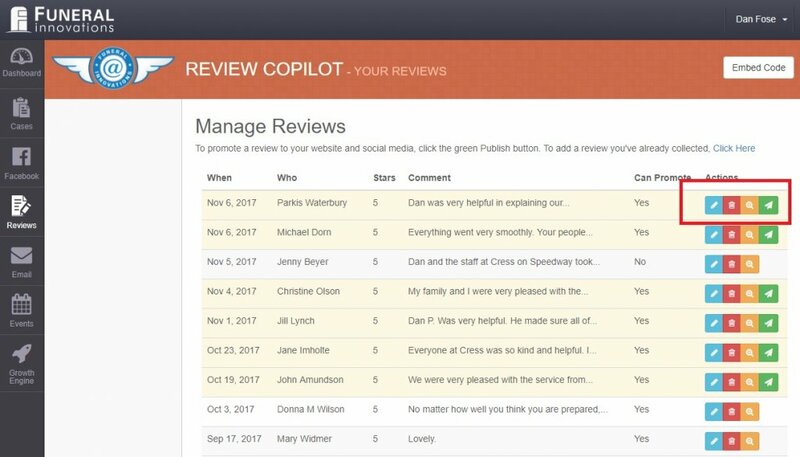 To the right are the options available to manage the reviews. Edit: Edit the reviewer and the text within the review. Preview: See what the review will look like when published to Facebook. Go back and edit any spelling errors you notice. Publish: Choose the desired publishing method. Whether to send to website, or to website and Facebook. After you have completed any editing and have previewed the review, click Publish. A confirmation will be displayed specifying how you would like to publish the review. It is suggested to click Publish to Web + Social Media. You can publish as many reviews as you wish. Reviews published to the website will show up immediately. However, reviews published to Facebook are not published immediate to your Facebook Business Page. Note: Click Publish to Web Only if you wish to not publish any review to your business Facebook page. 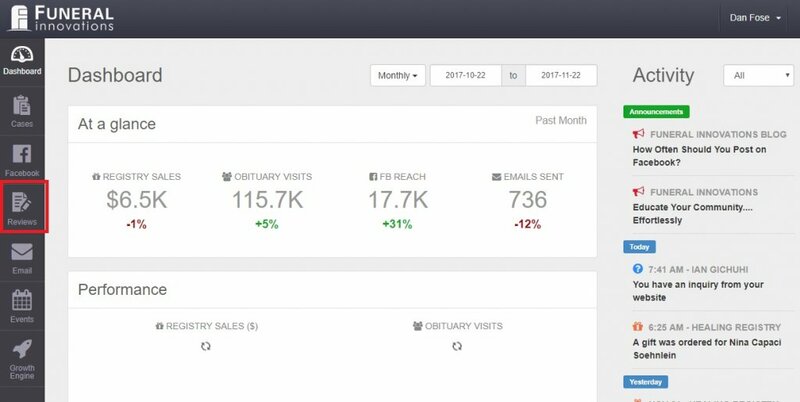 After clicking Publish to Web + Social Media Copilot, the generated Facebook post is sent over to your Posts By You Feed. To see the post go to Facebook (A) ->Posts By You (B). The post will be available down the right side (C). 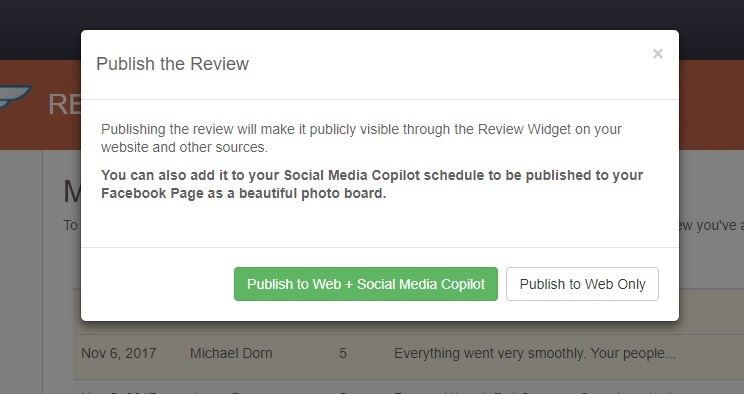 The Social Media Copilot adds the review post to your schedule in the future. 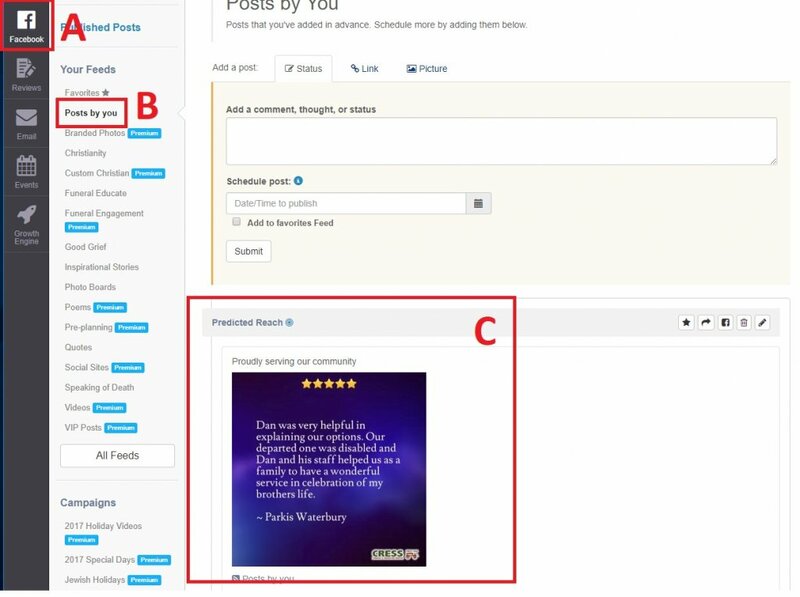 You can have several new reviews under Posts By You, and they will be scheduled individually over time. 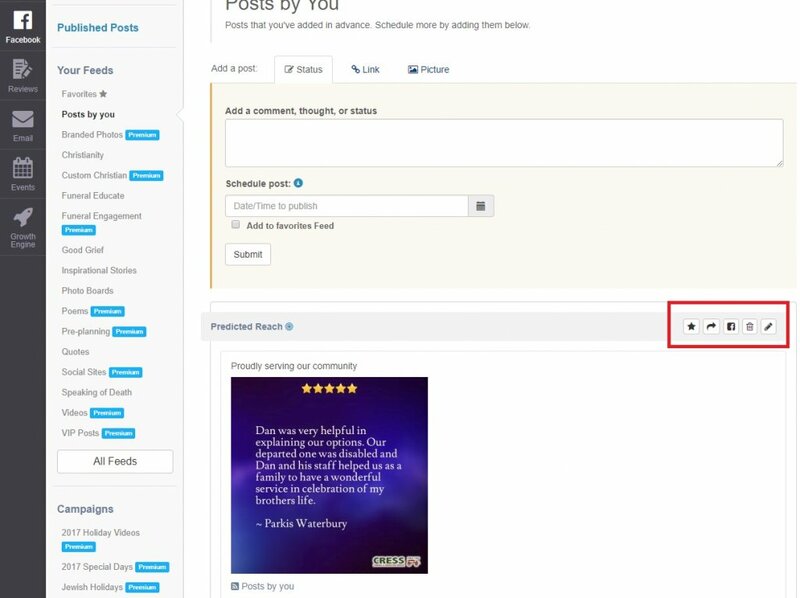 You can use the post options to have more control like delete, publish now or add to queue (schedule).